Fifty-eight top academic seniors will be honored during ROSE Banquet. 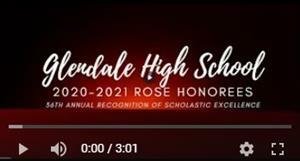 Fifty-eight top academic seniors from Springfield Public Schools' five high schools will be honored on Thursday, March 21, during the district's 34th annual Recognition of Scholastic Excellence Banquet. 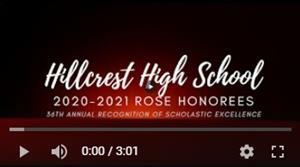 The top 10 graduating students from each high school with the highest grade point average are recognized during the ROSE Banquet each year. 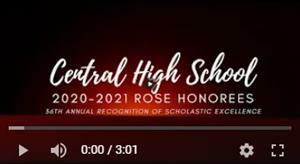 This year, due to ties in GPA, Central High School will be honoring 11 students and Glendale High School will be honoring 17 students. The invitation-only event will be hosted by Evangel University and held in the Crusader Dining Hall. The evening will begin with a 6 p.m. reception followed by dinner at 7 p.m.
Dr. John Jungmann, superintendent of Springfield Public Schools, and Dr. Carol Taylor, president of Evangel University, will deliver remarks. Paiton Nicole Acord is the daughter of Rick and Jenny Acord. Paiton’s high school activities include volleyball, basketball, track, National Honor Society, 417 Students Questioning the Use and Abuse of Drugs, Fellowship of Christian Athletes and Foreign Language Club. Paiton plans to attend Evangel University and seek a business degree to pursue a career as an event coordinator. Brittney Morgan George is the daughter of Rick and Amanda George. Brittney’s high school activities include cheerleading, tennis, track and field, National Honor Society, World Language Club and Fellowship of Christian Athletes. In college, Brittney plans to seek a degree in child development to pursue a career working with terminally ill children. Emma Danielle Hampton is the daughter of William and Rebecca Hampton. Emma’s high school activities include varsity girls soccer, varsity girls golf, Science Olympiad, Science Club, Interact Club, Mu Alpha Theta, Math Honor Society, National Honor Society, A+ Advisory Board, World Language Club, Cabinet, Leadership School, concert choir, chamber choir, Student Council, boys soccer manager, Future Business Leaders of America. Emma plans to attend Georgia Institute of Technology for a degree in chemical engineering. Alanna Marie Mangum is the daughter of Kara Mangum. Alanna’s high school activities include World Language Club, Science Olympiad, Science Club, Mu Alpha Theta, Leadership School, College Ambassador, 3 on 3 Basketball Tournament Committee Member, Upward Bound, National Honor Society, mini-marching band, marching band, concert band and Recognized by Springfield Rotary Club. Alanna plans to attend the University of Missouri – Columbia and seek a degree in psychology. Chaneryna Thi Thach is the daughter of Hien Thach and Thieda Nguyen. Chaneryna’s high school activities include World Language Club, National Honor Society, Mu Alpha Theta and Art Club. Chaneryna plans to attend the Kansas City Art Institute and seek a degree in illustration and product design. Andy Quoc Tran is the son of Tuan and Trang Tran. Andy’s high school activities include Green Team, Parkview Cares and Parkview Leadership 101 Class. Andy plans to attend Missouri State University and seek a degree in business/marketing. Rylee Grace VanLaningham is the daughter of Kellie VanLaningham. Rylee’s high school activities include orchestra, Mu Alpha Theta, World Language Club and National Honor Society. Rylee plans to attend the University of Arkansas and seek a degree in nursing. Grace Marie Wedgeworth is the daughter of Darin Wedgeworth and Nancy Rowe. Grace’s high school activities include volleyball and soccer, four-year varsity starter, Parkview Magazine Editor, concert choir and women’s chorus, National Honor Society, President. Grace plans to attend Missouri State University and seek a degree in psychology. David P. Zhogan is the son of Peter and Liliya Zhogan. 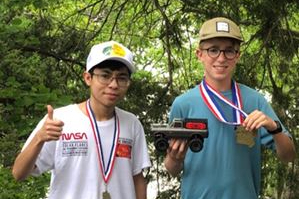 David’s high school activities include Mu Alpha Theta, Math Honor Society, Art Club, Green Team, Science Olympiad, Science Club, cross-country, boys’ varsity swimming, National Honor Society, Cabinet, concert and chamber choir, DECA, Ultimate Frisbee, Student Council and girls swim manager. David plans to attend Missouri State University to earn a degree in physical therapy. Sasha Agarwal is the daughter of Dr. Alok Jain and Sheweta Agarwal. Sasha’s high school activities include Central Intelligence, Cabinet, International Baccalaureate, National Honor Society, Student Council, speech and debate, Future Business Leaders of America, tennis and Liberty in North Korea. After college, Sasha plans to pursue a career in international relations. Zoe Angel Michelene Bergant is the daughter of Matthew and Amy Bergant. Zoe’s high school activities include Key Club, Student Council, National Honor Society, Bulldog Buddies, A+ tutoring, Health Occupation Students of America, Envirothon, and International Baccalaureate Ambassador. Zoe plans to attend college and is undecided on her major. Andrew Scott Eisenhour is the son of Tim and Christina Eisenhour. Andrew’s high school activities include International Baccalaureate, National Honor Society, Math Club and Computer Science Club. Andrew plans to attend Southwest Baptist University to earn a degree in computer science and math. Michael Kevin Lee is the son of Dr. Shang Lee and Jia-Jen Chen. Michael’s high school activities include International Baccalaureate, Central Intelligence, Math Team, Future Business Leaders of America, Key Club, debate, tennis and Student Council. In college, Michael plans to seek a degree in economics/applied math. Katie Lu is the daughter of Robert Lu and Dr. Jenifer Zhai. Katie’s high school activities include International Baccalaureate, Future Business Leaders of America, Health Occupation Students of America, Math Team, Science Olympiad, swim team, Envirothon and A+ Tutoring. Katie plans to attend college and is undecided on her major. Carson Lydia Marquart is the daughter of Kevin and Leah Marquart. Carson’s high school activities include International Baccalaureate, Cabinet, Key Club, National Honor Society, Future Business Leaders of America, Orchestra, Peer Mediation and A+ Tutoring. In college, Carson plans to earn a degree in business and pursue a career in nonprofit work. Malia Grace Morgan is the daughter of Justin and Dr. Michelle Morgan. Malia’s high school activities include National Honor Society, Model United Nations, Constitution Club, Speech and Debate Club, President, Math Club, Peer Tutoring, Volunteering in School Library, Spanish Honor Society, Beta Epsilon, Mu Alpha Theta and National History Day. Malia plans to obtain a degree in science and physics and minor in astronomy to pursue a career in theoretical astrophysics. Yeji Sarah Park is the daughter of Sanghoon and Yeonmi Park. Sarah’s high school activities include International Baccalaureate, College Ambassador, Student Council, Liberty in North Korea, Cultural Diversity, National Honor Society, Science Olympiad, Key Club, tennis, French Honor Society, International Baccalaureate Ambassador, and Springfield Youth Symphony. Sarah plans to attend college and is undecided on her major. Kate Suzanne Skalicky is the daughter of Francis and Michele Skalicky. Kate’s high school activities include Band, Student Council, Cabinet, Key Club, National History Day, International Baccalaureate, International Baccalaureate Ambassador, National Honor Society and Spanish Honor Society. In college, Kate plans to earn a degree in art to pursue a career in illustration or fashion design. Kaylee Hyunsoo Sun is the daughter of Steven Sun and Jaehee Chung. Kaylee’s high school activities include Central Intelligence, International Baccalaureate, National Honor Society, Student Council, Debate, Future Business Leaders of America, tennis team, swim team, Liberty in North Korea, Drury University’s Best of Midwest Art Show and National Spanish Honor Society. Kaylee plans to attend college to earn a degree in art/graphic design. Grant Anderson Teters is the son of James and Janell Teters. Grant’s high school activities include International Baccalaureate, International Baccalaureate Ambassador, swim team, math team, National Honor Society, Peer Tutoring, Spanish Honor Society, Computer Science Club and Mu Alpha Theta. Grant plans to attend the University of Missouri in Columbia and earn a degree in computer science and math. Braedon Hunter Aaron is the son of Brandon and Stephanie Aaron. Braedon’s high school activities include National Honor Society, A+ Program, A+ Advisory Board, baseball team and Law and Justice Society. Braedon plans to attend Missouri State University to seek a degree in business law. Ashley Michelle Baldwin is the daughter of Brent and Dana Baldwin. Ashley’s high school activities include swim and dive team, Interact Club and Youth Against Cancer. Ashley plans to attend Auburn University, earn a degree in professional flight, and purse a career as an airline pilot. Katherine Delaney Church is the daughter of Susan Church. Katherine’s high school activities include World Language Club, Health Occupation Students of America, National Honor Society, Advanced Orchestra, Student Council, Glendale Service and Society, and Law and Justice Society. Katherine plans to attend Washington University in St. Louis for a degree in mechanical engineering and neuroscience to pursue a career as a medical researcher. Addison Paige Dake is the daughter of Brandon Dake and Casie Millsap. Addison’s high school activities include National Honor Society, Spanish Club and part of the Falcon Regiment. Addison plans to attend Missouri State University for a degree in hospitality management to pursue a career in event planning. Sofie Nasser Hass is the daughter of Drs. Victor and Aida Hass. Sofie’s high school activities include National Honor Society, Cabinet, Student Council, World Language Club, Student 2 Student, Chemistry Club and Spanish Tutor. Sofie plans to attend Missouri State University and University of Missouri-Columbia to seek a degree in medicine specializing in neurosurgery. Mohammad Fazal Hassan is the son of Dr. Ahmad Hassan and Hamna Rashee. Mohammad’s high school activities include Health Occupation Students of America, varsity tennis, Academic Team Captain, Glendale Science Society and Jazz Band. Mohammad plans to attend college and seek a medical degree. Jessica Rae Hicks is the daughter of Dr. David and Angie Hicks. Jessica’s high school activities include Student Council, Cabinet, Girls Service Society, World Language Club, Peer Mediation, swimming and track. Jessica plans to attend the University of Georgia for a degree in business/law to pursue a career as an entertainment lawyer. Maggie Elizabeth Linn is the daughter of Mike and Amy Linn. Maggie’s high school activities include Glendale Orchestra, Chamber Orchestra, Fellowship of Christian Athletes, Spanish Club, Student Council, National Honor Society, Health Occupation and Students of America. In college, Maggie plans to earn a degree in biology/pre-med and pursue a career as a pediatrician. Hannah Nicole Loder is the daughter of Mike Loder and Kathy Hopper. Hannah’s high school activities include Quill (News Magazine), Academic Team, Interact Club (Rotary-Sponsored Service), Spanish Club, National Honor Society, Student 2 Student, Glendale Service Society, A+ Tutoring and Choir. In college, Hannah plans to earn a degree in journalism and pursue a career as a magazine writer. Lauren Elizabeth McQuerter is the daughter of Michael McQuerter and Tedra Estis. Lauren’s high school activities include Glendale Advanced Orchestra, Springfield Youth Symphony, World Language Club, Chemistry Club, Green Squad, Envirothon, Health Occupation Students of America and National Honor Society. Lauren plans to attend Drury University for a degree in pre-medicine. Ethan Sean Miller is the son of Mark and Kelly Miller. Ethan’s high school activities include track, cross country, Service Society, Student Athletic Council and Leadership Springfield. Ethan plans to attend Brown University for a degree in physics and English. Jaebok Ryan Moon is the son of Sung Bae Moon and Dr. Hee-Sun Kim. Jaebok’s high school activities include varsity football, tennis, track, Health Occupation Students of America – Board Member Student Athletic Council, Honor Society, and Academic Team. Jaebok plans to attend either the University of Missouri-Kansas City or Missouri State University for a degree in medicine. Emily Addison Oliver is the daughter of Brad and Carol Oliver. Emily’s high school activities include Varsity Crimson Girls, yearbook, National Honor Society, Glendale Service Society, Student Council and Spanish Club. Emily plans to attend Drury University for a degree in graphic design. Kaitlyn Annell Palmer is the daughter of Anita Palmer. Kaitlyn’s high school activities include Glendale Service Society, Peer Mediation, Student 2 Student, National Honor Society, Student Council, Law and Justice Society, World Language Club, Chemistry Club, Science Olympiad, golf and swim teams. In college, Katilyn plans to seek a pre-med degree with concentration in biochemistry and Spanish to pursue a career as a cardiothoracic surgeon involved in research and surgical/clinical trials. Andrew Wyatt Robertson is the son of Dr. Bob and Pamela Robertson. Andrew’s high school activities include National Honor Society, Spanish Club, marching band, advanced band, jazz band and trombone. In college, Andrew plans to seek a degree in music performance and pursue a career in orchestra with an emphasis on the trombone. Connor Wilson Spinelli is the son of Dr. Chris and Cris Spinelli. Connor’s high school activities include soccer, tennis and orchestra. Connor plans to attend the Air Force Academy for a degree in engineering to pursue a career in aerospace engineering. Arianna Julia Thomas is the daughter of Dr. Thomas Thomas and Cynthia Hadfield. Arianna’s high school activities include softball, Fellowship of Christian Athletes, National Honor Society, Spanish Club and choir. In college, Arianna plans to earn an intercultural degree with a master of education, to pursue a career as an overseas missionary and English teacher. Colby James Bogle is the son of James and Erin Bogle. Colby’s high school activities include National Honor Society, Hillcrest Television Magazine (HTV) Producer, Mu Alpha Theta and National History Day. Colby plans to attend Drury University to seek a computer science degree, and he plans to pursue a career in software development. Gabrielle Rose Deckard is the daughter of Michael and Angela Deckard. Gabrielle’s high school activities include soccer, Cabinet, National Honor Society, Fellowship of Christian Athletes and Hillcrest Television Magazine (HTV). In college, Gabrielle plans to seek a degree in medicine. Natalie Brooke Johnson is the daughter of Doug and Stacey Johnson. Natalie’s high school activities include color guard, winter guard, orchestra, Mu Alpha Theta, National Honor Society and A+ Tutoring. Natalie plans to attend Southwest Baptist University for a degree in social work. Esther Noel Loya is the daughter of Max and Carol Loya. Esther’s high school activities include principal cellist in orchestra, Mu Alpha Theta Math Honor Society, National Honor Society, Relay for Life Chair, A+ Tutoring, Interact Club, winter drumline, marching band, Missouri Leadership Seminar, Hillcrest Ambassador and Peer Mediation. Esther plans to attend college to earn a degree in cello performance and pursue a career in music. Alexandra Roshelle Nelson is the daughter of Edwin and Shelly Nelson. Alexandra’s high school activities include marching band, National Honor Society, track, Medical Explorer and HAWK. Alexandra plans to attend Ozark Technical College for a degree in pre-pharmacy to pursue a career as a pharmacist. Hayden Zachary Pyle is the son of Jason and Therese Pyle. Hayden’s high school activities include madrigal, band, Hillcrest Television Magazine (HTV), Bay 11, National Honor Society, winter drum line, and Mu Alpha Theta. In college, Hayden plans to earn a degree in music education. Skylar Elizabeth Reynolds is the daughter of Chris and Nicole Reynolds. Skylar’s high school activities include National Honor Society, orchestra, Health Sciences Program at OTC, cross country and track. Skylar plans to attend Ozark Technical College and earn a degree in psychology. Kensi McKay Rockholt is the daughter of Shane and Angela Rockholt. Kensi’s high school activities include National Honor Society, Mu Alpha Theta, Math Honor Society and volleyball. Kensi plans to attend the University of Oklahoma and seek a degree in radiology. Brock Dale Schaffitzel is the son of Ryan and Terri Schaffitzel. Brock’s high school activities include baseball, football, basketball, Student Council Cabinet, National Honor Society, Fellowship of Christian Athletes, Peer Mediators, Springfield Youth Empowerment Project and Springfield Leadership. Brock plans to attend college and earn a degree in secondary education to teach history. Abigail Faye Wilkinson is the daughter of Dr. Trent and Deborah Wilkinson. Abigail’s high school activities include marching band, concert band, Family Career Community Leaders of America, National Honor Society, founder of Film Club, A+ Program, soccer, tennis, winter drumline and Rotary Youth Leadership Academy. Abigail plans to attend Brigham Young University. Scotlyn Jewell Belew is the daughter of Paul and Julie Belew. Scotlyn’s high school activities include Speech and Debate, golf, Envirothon, Mu Alpha Theta and Academic Team. In college, Scotlyn will seek a degree in mechanical engineering and economics to pursue a career in renewable energy. Kathryn Elizabeth Deck is the daughter of Christopher and Stacy Deck. Kathryn’s high school activities include Speech and Debate, track and field, cross country, National Honor Society, Spanish National Honor Society, K Club, Mu Alpha Theta, Chief Mentors, A+ Tutors, Spanish Club and Writing Center. Kathryn plans to attend the University of Arkansas and seek a degree in political science and biology to pursue a career in genetic patent law and later run for public office (either legislative or executive branch). Elizabeth Grace Fetzer is the daughter of Steven and Amy Fetzer. Elizabeth’s high school activities include Mu Alpha Theta President, Officer in Environmental Club, winter drumline, musical pit, Officer of National Honor Society and All-State Band. Elizabeth plans to attend the University of Missouri Columbia and seek a degree in percussion performance and engineering for a career as a percussion musician or instructor. Hallie Baxter Jones is the daughter of William and Dena Jones. Hallie’s high school activities include color guard, Cabinet, National Honor Society, Spanish Honor Society, Spanish Club and Chief Mentors. Hallie plans to attend Missouri State University and seek a degree in psychology and Spanish to pursue a career in law enforcement. Elizabeth Grace Link is the daughter of Paul and Katy Link. Elizabeth’s high school activities include Cabinet, tennis, National Honor Society, Mu Alpha Theta, Kare Team, Chief Mentors, Pay it Forward and Health Occupation Students of America. Elizabeth plans to attend the University of Mississippi to earn a degree in biology/pre-med. Desiree Michelle Nixon is the daughter of Phillip Nixon and Jessica Cadle. Desiree’s high school activities include Chief TV, Kickapoo Cabinet, Chief Mentor, National Honor Society, Student Television Network Honor Society, Mu Alpha Theta, French National Honor Society and Student Council. Desiree plans to attend Missouri State University and seek a degree in mass media or meteorology to pursue a career as a meteorologist. Nicole Elizabeth Noto is the daughter of Francesco and Brenda Noto. Nicole’s high school activities include Golden Girls Dance Team, National Honor Society, Mu Alpha Theta, Science Olympiad, Spanish Club, Health Occupation Students of America, Peer Mediation and Writing Consultant. Nicole plans to attend the University of Texas at Austin to earn a biochemistry degree. Cathryn Laura Rankin is the daughter of Tom and Laura Rankin. Cathryn’s high school activities include Mu Alpha Theta, National Honor Society, Health Occupation Students of America, Spanish Club and volleyball. Cathryn plans to attend Drury University to earn biochemistry and fine arts degrees to pursue a career in medicine. Emma Laure’n Riemenschneider is the daughter of Kris and Lori Riemenschneider. Emma’s high school activities include marching band, drumline, Future Business Leaders of America, DECA, Chief Mentors, Writing Consultant, National Honor Society and Superintendent Student Advisory Council. Emma plans to attend the University of Arkansas and seek a degree in marketing to pursue a career in film promotion. Anna Jeanette Weiner is the daughter of Drs. Ray and Elizabeth Weiner. Anna’s high school activities include cross country, speech and debate, Democracy in Action and Scholar Bowl. In college, Anna plans to earn degrees in economics and Middle Eastern cultural studies and pursue a career in human rights law or international law.